The waiting is finally over! The results are in! The winner of Top 100 Clubs 2016, powered by Miller Genuine Draft, is...Space Ibiza! This year’s victory marks the Ibiza superclub’s fourth time as champion, beating their own record from 2014. However it is a victory that is tinged with some sadness, as 2016 will be the venue’s final year of operation. The iconic club, which has stood on the same site for over 25 years, will close its doors at the end of the summer. What’s next, very few know. 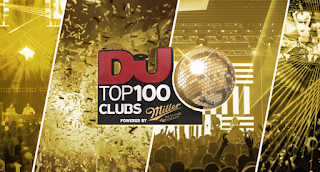 But any clubber who has experienced the club’s unique vibe over the last quarter of a century will be delighted that they are signing off as The World’s No.1 Club. Truly one of the greatest clubs of all time, Space’s legacy will be far-reaching. A venue that pioneered marathon clubbing in Ibiza, forged the way for the indoor/outdoor vibe and provided us with some of our all time finest dance floor moments. Space Ibiza is a true and worthy champion! Long live the King! You can read profiles of every single club over at Top 100 Clubs, powered by Miller Draft. 0 on: "SPACE IBIZA ANNOUNCED AS 2016’S NO.1 CLUB"